For many of our campers and parents, opening day is less than two weeks away! There’s a lot going on with the end of the school year, packing trunks, and labeling clothes, but we know it’s hard for some of our campers to concentrate because they’re jumping out of their skin to get to camp. For others, leaving home is harder, even if they know they’ll have a great time. No matter what your camper’s (or your own!) state of mind is, we want you to know you’re not alone. We asked some of our most enthusiastic Maine camp parents about how they and their campers are feeling right about now, and how they prepare to be separated for the summer. Check out their great (and reassuring) answers! 2. Their first year I sent something with them to camp. 3. As they get older, I think you need to do “less”. I have a good friend who sent her kids to camp from Colombia, South America. No one in her family ever went to camp. They went with hardly anything. And they were fine! 4. I send them with envelopes and stamps (preaddressed) as well as some photos from home. I also email their address to their grandparents, etc. I always send the kids with a small photo book of current family pictures and pictures of their friends. I also write letters to them every day…I think they still like feeling connected to home even though they are far away and loving camp. I believe my husband would put a note in their backpack for them to find on the ride to camp. We always try to give them the confidence and the permission to enjoy camp! Both the kids and I are excited and looking forward to camp. It is always the highlight of the kid’s summer and my wife and I really enjoy the time we get to be together just the two of us. Getting the supplies the kids will need for camp is a great way to connect and prepare the kids emotionally. We like to do this with them so they are engaged in the camp process more so than just heading off the day camp starts. The kids always know that we are only a phone call away if they need us … I think them knowing that makes them feel safer. 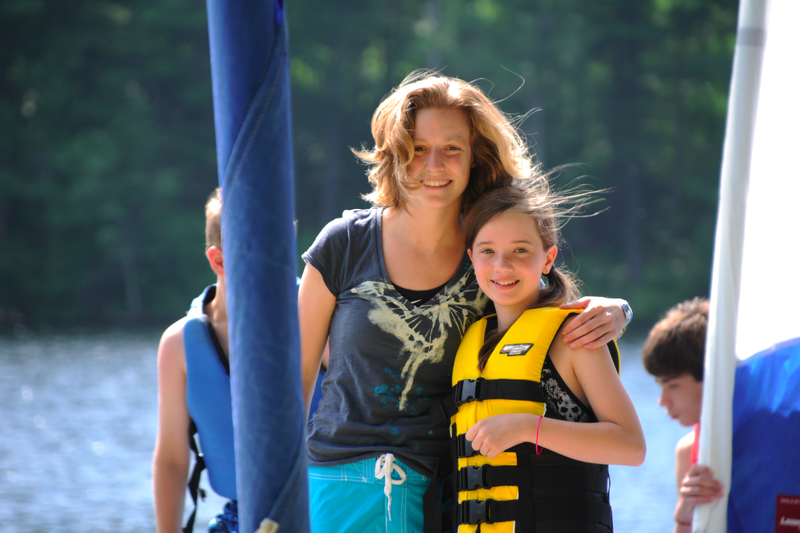 We are lucky that both kids absolutely love camp in Maine … who wouldn’t? This is my daughter’s 3rd summer at camp (she’s 10 years old) and she is bursting at the seams to get there. We have had a countdown since the end of last summer and it’s finally here. Preparing is easy because I know she is going to have the best summer. Knowing she is happy and safe makes all the difference. Great words of wisdom from our camp parents! Our takeaways? Mementos from home, and send mail ahead of time! We love that idea! What do you do to get your camper (and yourself) ready for camp?